Muzzle: Improves Damage and Range. Ammo: Improves Damage and Reload. Body: Improves Damage, Range and Stability. Grip: Improves Stability and Reload. Tip: If you love Sniper Rifles, you must prioritize Muzzle, Ammo and Body. Focus on improving your damage. Remember Sniper Rifles are built to kill enemy with one shot. Range, Stability, Max Zoom, Clip Size and Reload can be fixed by improving your shooting skills overtime. However your damage will not increase if you don't upgrade it. Sniper Rifles are the best weapons in the game. If not then the game should change it's name with Pistol 3D Assassin or Shotgun 3D Assassin. Most of the mission needs to be done with one kill only, so Sniper Rifles are the best option. There are Primary Mission and Wanted Criminal. Primary Mission is your Main Mission while Wanted Criminal is your Sub Mission. If you are having difficulty with your current Primary Mission, just do your Wanted Criminal and earn some coins for you to upgrade your weapons. You can get full Energy in Sniper 3D Assassin: Shoot to Kill at anytime. You can get this cheat by changing your phone's time setting. Close your Sniper 3D Assassin: Shoot to Kill app by either restarting your phone or by killing it on your task manager. Open Sniper 3D Assassin: Shoot to Kill app and you will get your full Energy. Open Sniper 3D Assassin: Shoot to Kill app but do not play a single game. 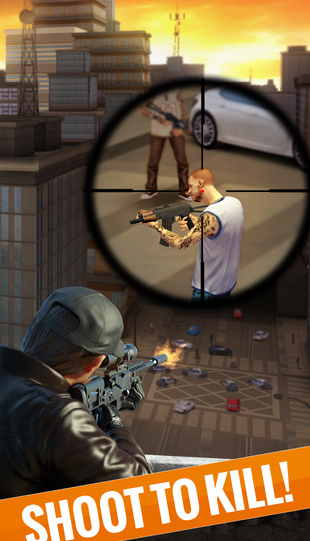 Open Sniper 3D Assassin: Shoot to Kill app just to make sure that there is no problem.